Moscow has warned that if Washington moves ahead with plans to withdraw from the Intermediate-Range Nuclear Forces Treaty (INF), Russia will be forced to do what it takes to preserve the global strategic balance. South American leaders have joined their European and Chinese counterparts in voicing concern over President Trump's plans to withdraw from the INF, the 1987 agreement between the US and Russia to no longer develop ground-based intermediate-range missiles. Commenting on Trump's intention to withdraw from the treaty on Tuesday, Bolivian President Evo Morales charged the US with being an "enemy of world peace and human rights." 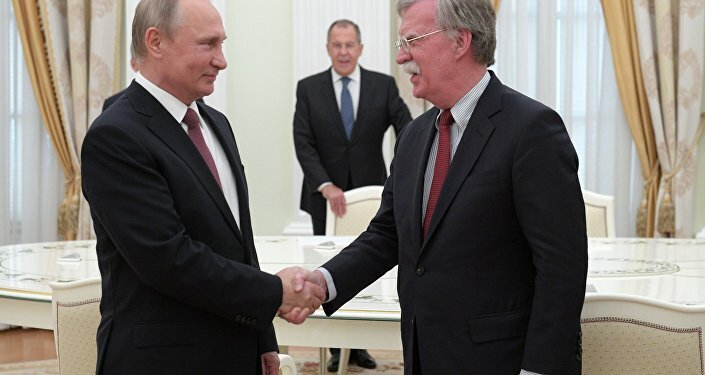 Alberto Hutschenreuter, a geopolitical analyst and professor of geopolitics at the Air War College in Argentina, warned that Washington's possible shift on the INF Treaty is taking the world in a dangerous direction. "The strategy may change, and if that happens, we will be entering unknown territory," Hutschenreuter warned, speaking to Sputnik Mundo. In the professor's view, scrapping the treaty would dramatically increase global tensions, since Russia and the US stand head and shoulders above any other nation in terms of their possession of weapons of mass destruction. In these circumstances, he said, treaties between the two countries are "very important." 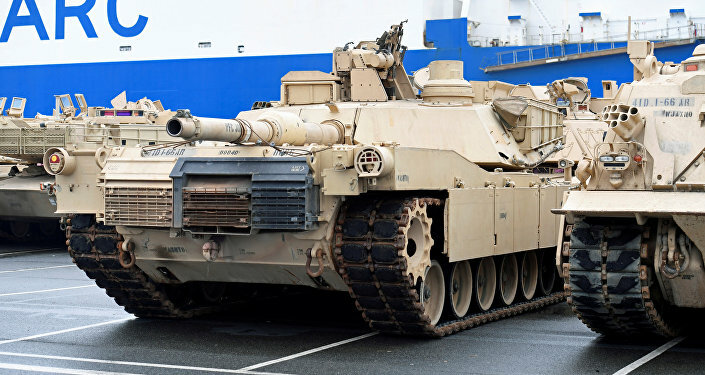 "Washington's claims about being defenseless in the face of weapons developed in other countries, whether in the Middle East or Asia, do not hold, since its military power is overwhelming compared to any other country apart from Russia," Hutschenreuter added. The observer noted that he was not surprised by Washington's announcement, pointing out that it was not the first time that the US was planning to abandon an important treaty. In 2001, Hutschenreuter recalled, the Bush administration scrapped the 1972 Anti-Ballistic Missile Treaty, aimed at preventing the development of missile defense systems and thereby reducing the risk of nuclear war. "At the expert level, concern is growing about the strategy of nuclear deterrence itself, given the appearance of new weapons," Hutschenreuter warned. Ultimately, the professor suggested that Washington's growing tendency to make unilateral decisions without consensus or negotiations makes it difficult for other countries, "apart from strategic vassals, such as the UK," from supporting them. For Russia, the proximity of NATO forces near the country's borders is already forcing Moscow to rethink its defensive strategy, with even tiny NATO members like the Baltic states posing a threat "even without nuclear weapons," Hutschenreuter concluded. The INF Treaty, signed between the Soviet Union and the United States in 1987 and aimed primarily at ensuring security on the European continent, led to the destruction of the superpowers' stockpiles of ground-based short and intermediate-range ballistic and cruise missiles with ranges between 500 and 5,500 km. Under the treaty, close to 2,700 Soviet and American ballistic and cruise missiles were destroyed by mid-1991. Starting in 2014, Washington and its allies began accusing Moscow of violating the terms of the INF, claiming that Russia was developing ground-based INF-range systems. Moscow denied the accusations, and accused the US of violating the INF by building its missile defense systems in Romania and Poland. According to Russian President Vladimir Putin, these facilities could easily be converted from missile defense to nuclear-armed cruise missiles capable of reaching Russian targets within minutes.